Home > blog > A crafty wedding show. At a recent bridal show held here in Savannah I came across a booth that was so excellent!!! Five vendors shared it including a photographer from the area that totally rocks. 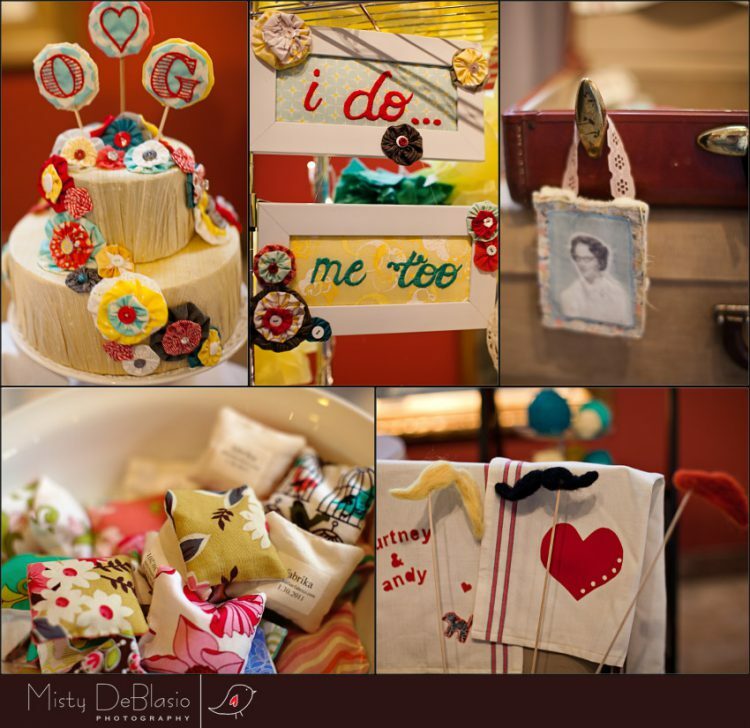 I took some pictures of some of the crafty details that made me swoon. I did not include a wide table shot because it featured many of the photographer’s photographs and she might not think it cool if I did that but it was so perfectly designed by AGH Event Maker. Fabrika provided many of the items to include the scented sachets that they gave away and I thought they would make the cutest favors. The shop offers bridal showers where the bridal party comes in, brings their own food and makes crafts to use on the wedding day such as the pictured table numbers. How much fun is that!!! 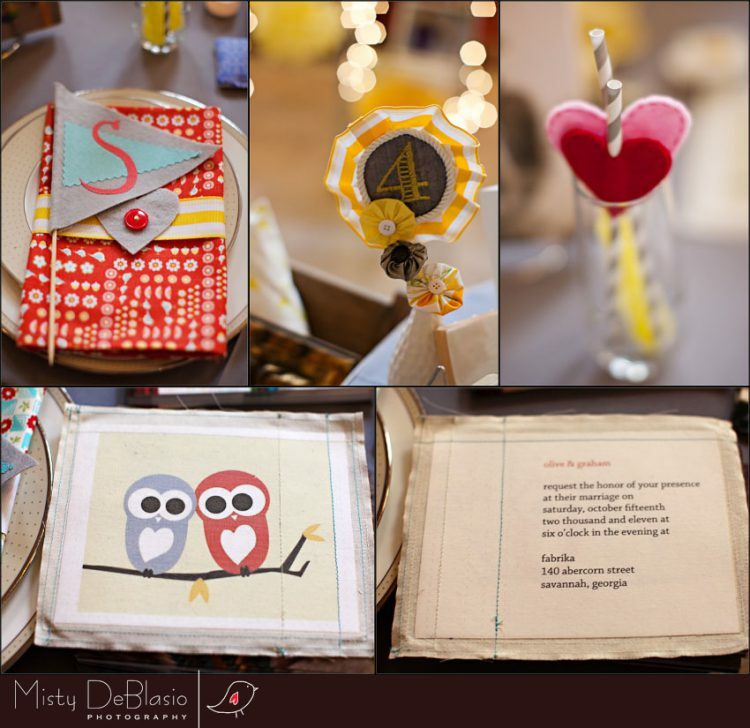 Another favorite of mine was the fabric wedding invitation with the two birds on one side and the details on the other. French Knot Stitch Boutique and Wild Fibre also had their wares displayed throughout the table and on additional displays. I love the signs for the bride and groom for the engagement photos, wedding day, thank you cards and even save the date signage. All of these vendors were so full of energy and so very creative. I think every bride should have a designer for her wedding to pull that look together, even the smallest wedding with the most simple details can be breathtaking if done by professionals. Here are a few photo’s that I snapped of the “Best Display in Show” (My award totally).